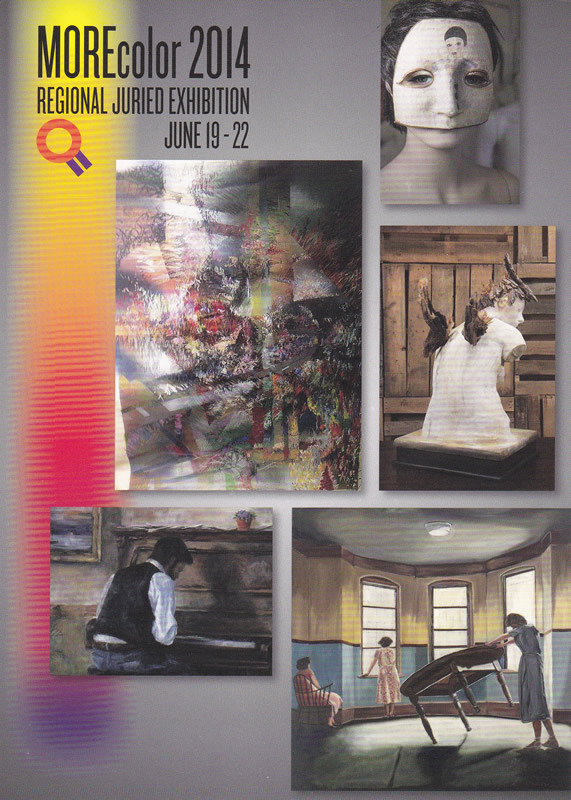 Opening reception event on June 9th from 6 p.m. to 9 p.m.
Submissions for 2016 are open through midnight, May 8, 2016. 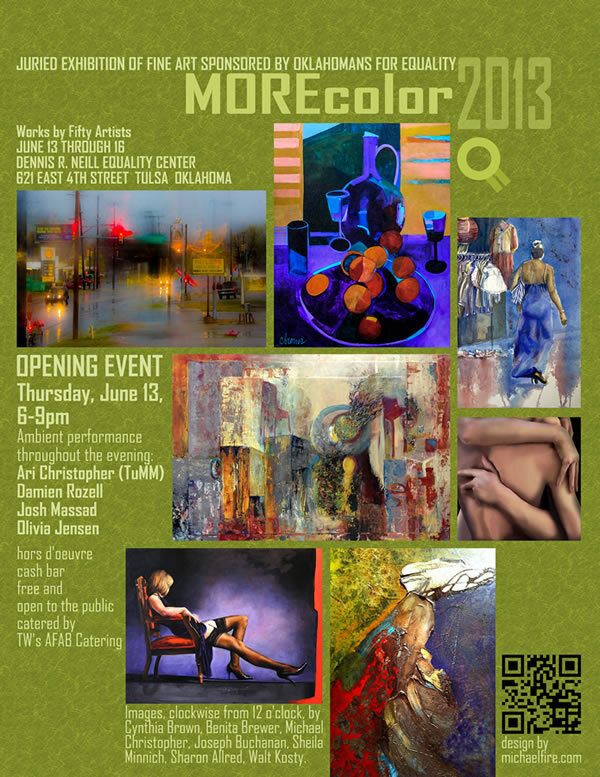 MOREcolor is the current incarnation of the art show that began back in the 1980's as the TOHR Art Show, a celebration of Pride through the fine arts. An opportunity that gives artists 70% of their sales and keeping only a 30% commission, MOREcolor had its start long before Oklahomans for Equality (OkEq) had the Dennis R Neill Equality Center, when the organization was still called Tulsa Oklahomans for Human Rights. The show has been held in several locations, but its home is now the Equality Center's spacious Event Center. Each year brings new performance surprises to the opening night event, from chamber music to jazz, from contemporary dance to belly, from performance art to an opera flash mob, from a body art runway to installation art. This year's opening event on Thursday evening, June 9th, 2016 will feature works by as many as sixty visual and performing artists, and some surprises we can't confirm yet, as well as cash awards. The event is free and open to the public. Don't miss it!